Charter a private flight to Denver, an American metropolis dating to the Old West era, and one of the most popular private aviation hubs along the West Coast. Hiring a private jet into either (KAPA) Centennial Airport or (KBJC) Rocky Mountain Metropolitan Airport allows you to travel to Colorado in the utmost comfort, convenience and style, and our team is here to offer private fliers the highest standards in executive and leisure travel. Air Charter Advisors offers on-demand private air charter service to/from Denver with access to thousands of turbo-props, jets and helicopters around the world. 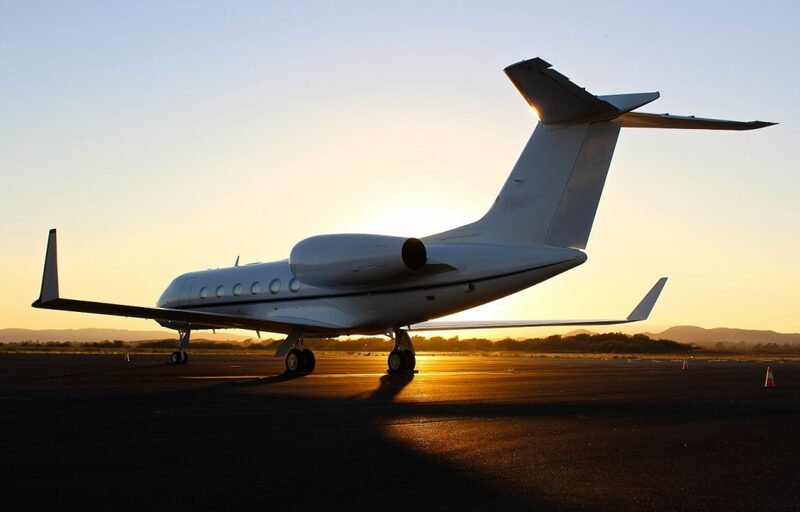 Our team checks for available empty legs, discounted one-way routing, airports options, all while using our industry connections to provide clients with the most competitive jet charter rates possible. We’re confident we will arrange the right aircraft for your trip, whether you’re flying internationally or domestically. Wyvern-certified, each and every aircraft we use for private charter flights to Denver, Boulder and the rest of Colorado are operated by FAR Part 135 (or foreign equivalent) air carriers. Using the most up-to-date Wyvern PASS reports for aircraft maintenance, operator history and pilot experience, we go the extra nautical mile to show our number one priority is passenger safety. Enjoy the peace of mind you get from working with a Denver jet charter company you can trust, and let Air Charter Advisors be your local and global aviation solution for luxury air travel, aircraft acquisition and private jet management. Call or request a quote for your charter flight to Denver, Colorado. We’re here to assist you in every aspect of private aviation, from booking your private jet and creating its flight itinerary to arranging gourmet in-flight catering, ground transportation, luxury yacht charters or meeting any other requests you may have – consider our Denver Jet Charter Service your one-stop shop for all things private aviation in the Centennial State. Click here for more information on private jet airports in Denver. Charter a luxury jet for your next private flight to Denver, Colorado. Prospectors flocked here in 1858 to take advantage of the Pike’s Peak Gold Rush. Today, travelers flock there to enjoy the gourmet restaurants, world-class museums, and eclectic nightlife that resulted from that 1850’s boom. 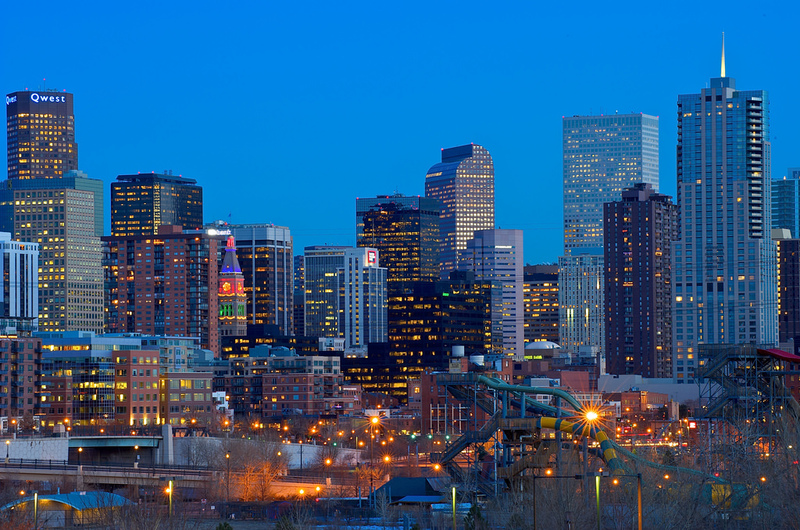 Denver has plenty to offer to luxury private jet travelers, regardless of specific interests. Though it may appear to be just another metropolis, Denver distinguishes itself with vast swaths of untouched nature right at its doorstep, and a culture that promotes exploration of that wilderness. 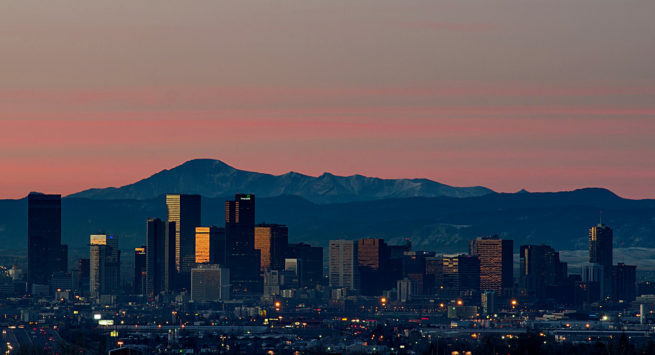 Denver is near synonymous with snow-capped mountains, dense forests, The Broncos, and craft beer. Its metropolitan opulence contrasted against the surrounding rugged nature makes for an interesting and irresistible vacation atmosphere. Regardless of whether you’re going to be in the area for a business conference or for a bit of rest and recover, you’ll have no problem finding attractions that work for your plans. If you’re still not sold on the city, there are tons of attractions that span just about every niche interest imaginable. From gourmet food of every style to live music and posh cocktail lounges, this city has just about everything a luxury private travelers could want in a luxury travel destination. For an elegant evening out on the town, head over to Shanahan’s, Denver’s premier fine-dining establishment. Touted as the best steakhouse in the city, this decadently appointed and elegantly furnished restaurant offers only the best food and wines. With over 4,000 different vintages on hand, you should have no problem finding the perfect match to your meal, especially with the aid of Shanahan’s in-house sommelier. If you’re hoping for a more casual setting without sacrificing the Five-Star food, then head over to the Euclid Hall Bar & Kitchen. This eclectic bar offers inventive small plates and a carefully curated list of beers on tap. You’re sure to find a beer that sets off happy fireworks on your palate, as the bar manager is a chemist and brew veteran of many years. We’ve compiled a list of the best attractions for luxury private jet travelers in the area. Based on jet charter client feedback, online reviews, and location, there’s sure to be something on the list that sparks your interest; read on to check it out. If you’re an executive, business professional, or elected official flying private to the Denver area, our brokers can arrange the perfect flight for your needs with our direct access to thousands of luxury private jets and aircraft. Air Charter Advisors allows clients to select their aircraft from a wide variety of sleek, efficient business aircraft. Our team has years of experience working with a wide range of passengers, providing exceptional service to heads of state, celebrities, and top business executives alike. Long-range jets such as a GulfstreamV/G500/G550 are the most comfortable way to fly your corporate team across the country, reaching domestic destinations such as Chicago and Los Angeles in just a couple of hours. If you’re flying within Colorado or to a nearby by state, efficient mid-size jets such as a Hawker (700/750XP, 800/800XP/850, 900XP) or Cessna Citation VII are ideal for departures from general aviation airports in the region, especially at popular business jet hubs such as (KAPA) Centennial Airport and (KBJC) Rocky Mountain Metropolitan Airport. No matter which aircraft you prefer, our private aviation agents will be available to you 24/7 to plan your upcoming executive or government charter flight to Denver, Colorado. Our team will also look into available empty legs and potential one-way routing to offer the most competitive quotes possible. Request a quote for your upcoming corporate charter flight to Denver. As a major metropolitan area, it’s no wonder that Denver is a hub for luxury hospitality establishments. Five-Star resorts, boutique villas, charming bed and breakfasts, and more await luxury private jet travelers. With just about every lodging classification under the sun at your disposal, it’s almost a guarantee that you’ll find the perfect place to lay your head. Whether you’re heading to the area for a business conference or a bit of rest and recovery, there’s a hotel for every occasion. Stay a night at the iconic Ritz-Carlton or at the hidden gem, The Brown Palace. The Ritz-Carlton offers top tier amenities at every location to go along side impeccable service. The Brown Palace has been surprising guests with unique offerings since 1892; fine-dining, stately meeting rooms, and lavish décor await you at this stylish downtown hotel. Regardless of where you stay in the city, you’re sure to have a great time enjoying Denver’s outdoorsy and metropolitan mix. However, choosing the right hotel with all of these options may be time consuming, so to help, our Jet Charter Denver team has compiled a list of premier hotel and resort options in the area. Denver is home to a line-up some of the best professional sports teams and fan bases in the country, and quite possibly the most regionally relative team names in sports (nice lakes you have there, Los Angeles). Named after the gold rush, the NBA’s Nuggets and NLL’s Mammoth share the Pepsi Arena with the NHL’s Avalance. Summertime in Colorado sees the Rockies compete in the MLB’s west division, however, between the four local pro teams, the Bronco’s are by far the favorite. From the heartbreak of the 80’s and back-to-back NFL Super Bowl victories led by John Elway and Terrell Davis’ “Mile-High Salute”, to their return to Glory led by a tenacious defense and future NFL Hall-of-Fame Quarterback Peyton Manning, you’re bound to see their orange and blue colors throughout the city. The Broncos play at Sports Authority Field at Mile High Stadium, located less than 20 minutes away from both (KBJC) Rocky Mountain Metropolitan Airport from the north, and (KAPA) Centennial Airport from the south; the Colorado Rapids also compete at Sports Authority Field during the MLS season. Chartering a private helicopter is the best way to avoid highway traffic, and our team can arrange your private helicopter lift to get you between meetings, games and other events. Enjoy instant access to the following aircraft for your private flights to/from Colorado. All of the private planes we utilize are operated by FAR Part 135 or 121 (or foreign equivalent) air carriers, using only veteran pilots in the make/model aircraft you’re renting. Our brokers will provide you with aircraft options based on the goals & budget of your flight, allowing you to choose between a cost-effective plane, or the most luxurious, stylish luxury jet near the Rocky Mountains. We can also connect you with Wyvern Wingman/ARGUS Platinum aircraft if necessary. Check out our Aircraft Gallery for more aircraft details, and if you don’t see your preferred plane listed below, let one of our brokers know and they will locate one in your area. 8 more airports are available for your jet charter flight to the Denver area, located between 25-50 miles outside of the city. Ask one of our brokers about the options available for your flight. 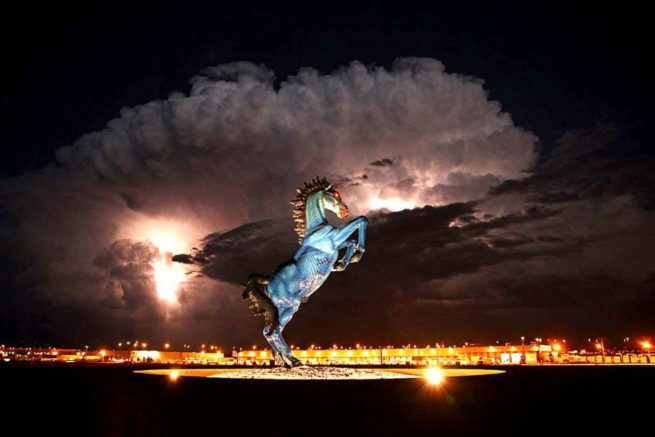 Check out more details on airports located in Denver. Request a Quote or give us a call at 1-888-987-5387 to speak with our Denver Jet Charter flight support team for your next luxury vacation, business trip, or special event. The best way to get in and out of Denver is via luxury private jet, and Air Charter Advisors is the best company to help you do just that. Our Wyvern certified jet charter representatives are available 24 hours a day and 7 days a week to ensure that your needs are met exactly when they need to be. We can arrange everything from multi-leg private flights with gourmet in-flight catering to luxury ground transportation and private helicopter lifts.